Congratulations go out to Mme. Quann’s homeroom, as they won the prize for top donations during our recent Food Drive. 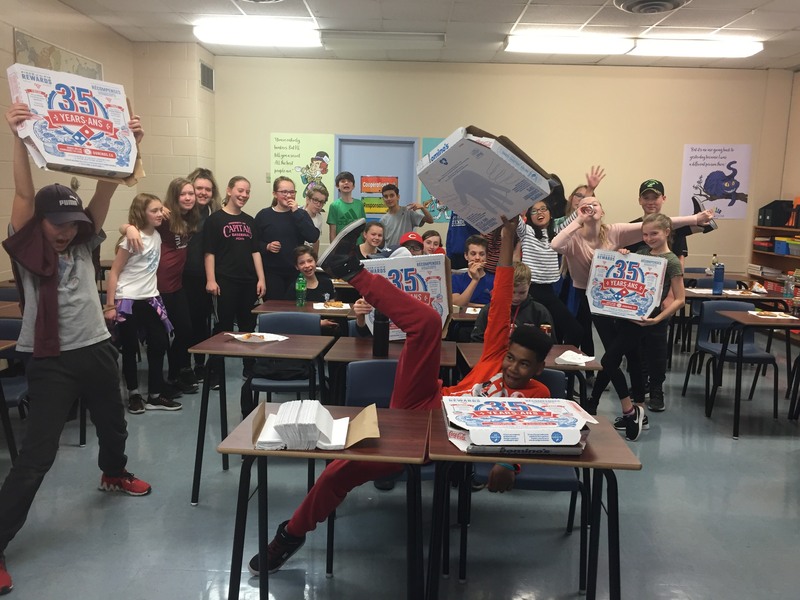 Here they are enjoying their reward – an in-class pizza party!